Get your creative juices flowing! 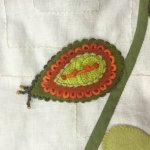 In this four part class, we will learn many embroidery stitches as well as techniques for texturing. We will talk about creating a project in that class, and you can purchase your supplies for the project at that time. 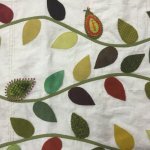 Jill will be making a table runner using leaves or circles. 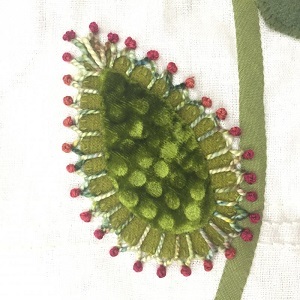 A pattern will be provided for the leaves and circles. 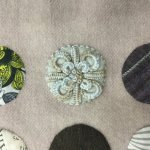 You can work on this same project or choose a project of your own. 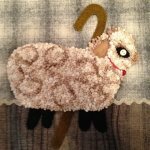 We have several wool projects available in the shop.